If it ever happens that you notice Oxy Torrent on your screen, there is no doubt that you have Oxy Browser installed on your system. Even though both of these applications look completely safe, you should still be careful because they are classified as potentially unwanted applications. It is not difficult to recognize them because you will definitely notice a new open source browser called Chromium running on your system. It is not a threat itself; however, you should still use Oxy Browser application carefully. 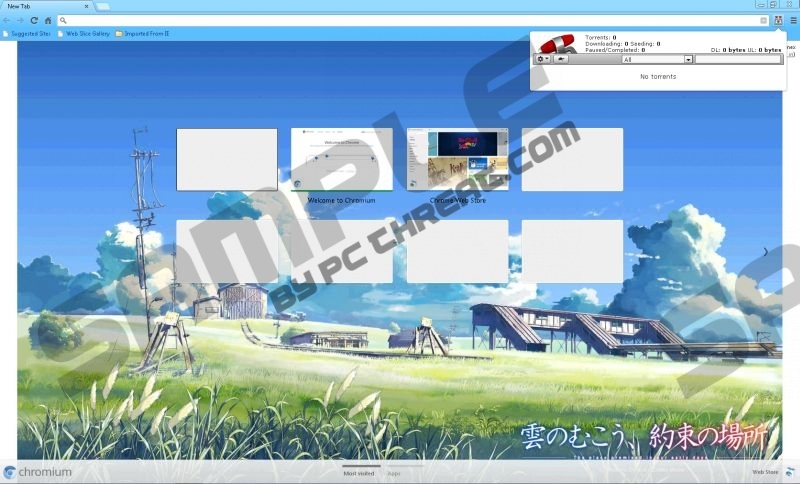 However, if you do not want to see Oxy Torrent bar on your screen anymore, you will have to remove it together with the program responsible for its presence. If you are still wondering why it is better to get rid of Oxy Torrent, you should know that you might download various malicious files using it. It means that you risk infecting your system all the time. Thus, it is very important to have an antimalware tool installed on the system. Of course, we understand that it seems extremely useful to be able to access torrent search field in just one click; however, you should still not forget about the importance of the security. Another reason why many people classify Oxy Torrent as a potentially unwanted application is the fact that it might enter the system bundled with other applications. In most cases, a user is informed about all the programs that are going to be installed and have an ability not to continue the installation. However, only a few of them read this information. If you want to avoid similar programs like Oxy Torrent in the future, make sure that you download and install software carefully. Unfortunately, it is not an easy task to distinguish reliable programs from those that are corrupted; which is why you should better invest in a reliable security tool. As Oxy Torrent is not a harmful infection itself, it can be removed from your system via Control Panel. For this matter, you can use the instructions provided below or you can acquire a reliable antimalware tool like SpyHunter. It will detect Oxy Torrent as a potentially unwanted application and then remove it without any difficulties. It is also worth keeping this tool enabled because it might help you to avoid different undesirable software in the future. Right-click on Oxy Torrent and then select Uninstall. Type in Control Panel in the field and click OK.
Right-click on the unwanted software. Quick & tested solution for oxy Torrent removal.